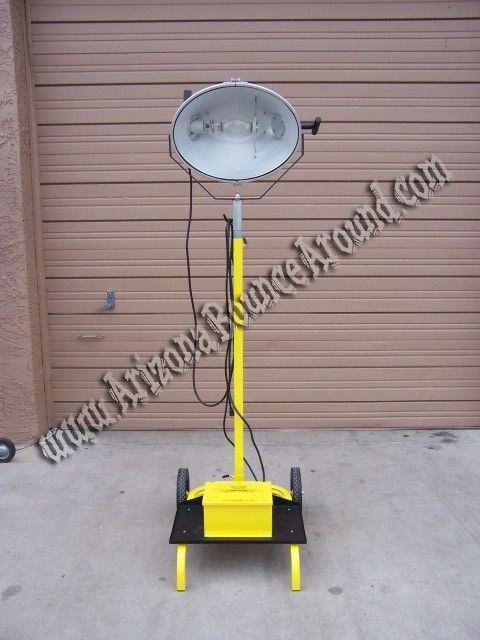 The 1000 watt portable light tower rental is a great way to light up any event. These light tower rentals will go just about anywhere you need them to. 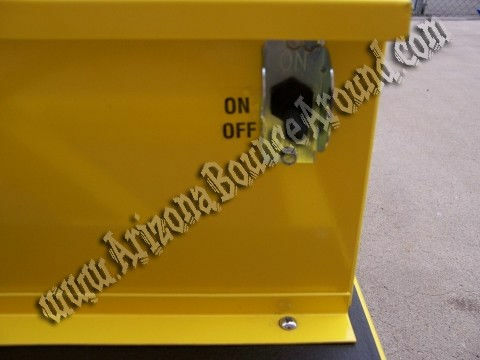 With the same lights as the deisel powered light towers producing enough light for about 48,000 sq ft these lights will be perfect for any school carnival, corporate event, or even backyard party. These light weight portable light towers allow you to accomplish all your lighting needs without the size or pollution of other light towers. Alls you need is a sufficient electrical outlet within 100 ft and your good to go. 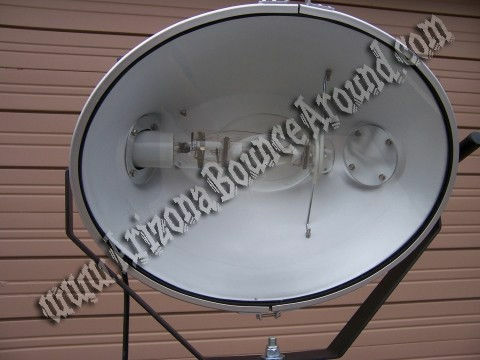 Light towers are adjustable from 5' to 10' high depending on your needs and can be used indoors or out. Generator rental is required for areas without an electrial outlet available.